The media has a bias, and so do we. The media wants to show us riveting stories so we won’t change the channel. Even subjects as ponderous and subtle as global warming are described in breathless terms. If that is how the media describes melting ice, then wait until you see how the news mis-reports something as shocking and sudden as an attack on our schools. Our own biases also comes into play. It is human nature to confuse the intensity of our feelings with the severity and frequency of an event. Add to that, we get news updates every few minutes on our phones. We become confused when the MSM spends weeks talking about the mass murders in our schools that occured this year. We assume that many people were killed. In fact, the rate of violence continues to fall in the United States. You probably didn’t know that good news because good news doesn’t sell soap for the mainstream media. Good news doesn’t work for the politicians either. They need us to panic in order to seize more political power from us. It is hard to sell revolution while things are slowly getting better. Here is one example of a broader trend. It is a tragedy that 27 people died in the two mass murders in US schools this year. Yes, there were only two of them, though that is two attacks too many. We forget that four times that many people die in traffic accidents every day. We forget that those 27 tragic deaths pale in comparison to the number of innocent people shot and killed by gangs each month in Chicago. Here is the problem in stark contrast. Gang murders and traffic fatalities are a statistic while the pictures of our murdered children are shocking. Violence continues to decline, though we’ve seen an uptick of crime in our large Democrat controlled cities. This is the Ferguson effect as metropolitan police withdraw and simply process crime reports. Without those failed cities, the United States of America is one of the safest and most law abiding countries on the planet. You didn’t know that because it isn’t a shocking story that the media can easily sell. We didn’t remember that crime is dropping that because it doesn’t outrage us. I report on interpersonal violence. We see more people learn to defend themselves each month. Concealed-carry holders are some of the most law abiding and non-violent segments of society anywhere on the planet. I see these responsible men and women use their tools of self-defense to stop attacks and sexual assaults. You don’t see it because it isn’t shocking enough to makes the news. I’m asking you to look beyond the headlines. 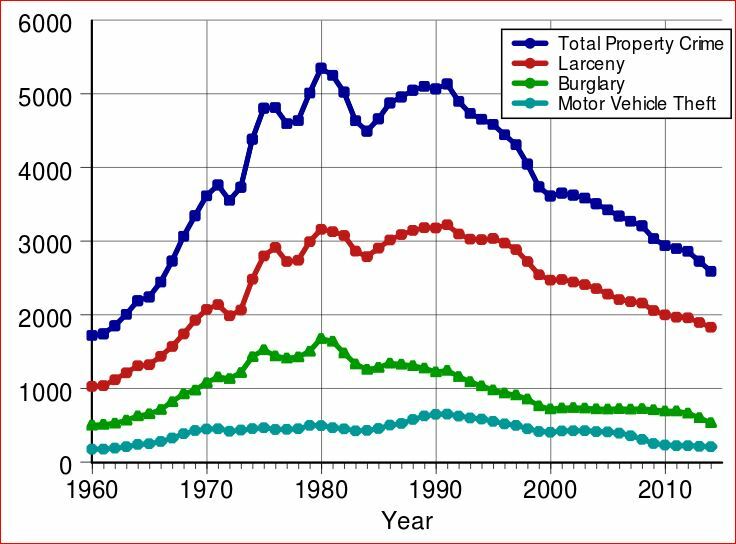 I talked about self-defense and declining violence, but look at the record setting economy and declining poverty rates for yourself. That will help overcome our bias to remember sensational stories and to ignore gradual progress. Read past the biased media. That informed perspective makes us less reactionary and harder to manipulate. You know more about your world than I will ever know. We have our own reasoned opinions that go beyond the latest media spin. Our insights go beyond the latest political press release. That is what it means to be an informed citizen.